This compact, RGB LED light effect is small yet bright enough to cover a large area. It operates stand alone or via sound activated mode, creating a great effect especially when viewed through smoke. 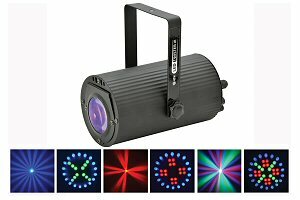 Ideal for mobile DJs and small parties. In stock and on display.